Tango's complete solution, which brings together all aspects of the real estate and location development lifecycle, enables HearUSA to address their immediate requirements, and also have the tools they require to support their aggressive growth plans. HearUSA, the recognized leader in hearing care, has selected Tango’s Strategic Store Lifecycle Management Solution to support plans to explore new market opportunities and develop strategies for the United States and international markets, as well as support their future growth across the entire real estate and store development lifecycle. HearUSA purchased Tango’s Predictive Analytics, Market Planning & Site Selection, and Geospatial Location Platform products. HearUSA was also impressed by the exclusive data relationships that Tango has secured. “Tango’s partnerships provide a depth and breadth of data that really set them apart from the competition, and will provide HearUSA with key data to help inform our location strategy,” explains Mr. Rodriguez. Tango’s Total Solution is unique in an industry that typically offers software that only addresses a portion of the real estate lifecycle. By bringing together Predictive Analytics, Retail GIS and Store Development Execution in a single, seamless offering, Tango helps organizations like HearUSA avoid the information silos that inevitably occur with disjointed solutions which often result in decisions being made with inaccurate and incomplete information. Tango enables retailers to make informed decisions, drawing on critical data from all areas of the lifecycle. HearUSA, Inc. provides hearing care through the HearUSA Hearing Care Network of 4,000 affiliated providers in 49 states and in more than 200 company-owned hearing care centers, all of which offer a large selection of state-of-the-art digital hearing aids. Hearing-related products, such as batteries, hearing aid accessories and assistive listening devices, are also available online at http://www.hearusa.com. HearUSA is proud to be the only hearing care provider awarded Health Network Accreditation from URAC, the accrediting organization that establishes quality standards for the health care industry. 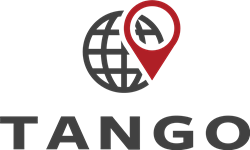 Tango’s purpose-built retail solution unites customer and location predictive analytics with online GIS and store development execution into a single platform. The Tango team has worked with over 500 leading retail. restaurant and healthcare companies, and brings that knowledge and those best practices to Strategic Store Lifecycle Management. Our cloud-based SaaS and mobile solutions are used across more than 130 countries by concepts ranging from a few dozen locations to large global brands with more than 40,000 stores. For more information, visit http://www.tangoanalytics.com.